Asic Robotics AG from Burgdorf has won the Espace Mittelland 2019 SVC Prize. The company specialises in robot systems for a wide variety of industries. Second place went to the four-star Romantik Hotel Hornberg in Saanenmöser-Gstaad. By awarding the Prix SVC, the Swiss Venture Club recognises innovative companies that have achieved significant and sustainable economic success through outstanding achievements. The big day was 13 March when the award ceremony for the Espace Mittelland SVC Prize took place in the Bern Kursaal, with 1400 guests in attendance. The Romantik Hotel Hornberg was among the nominees. 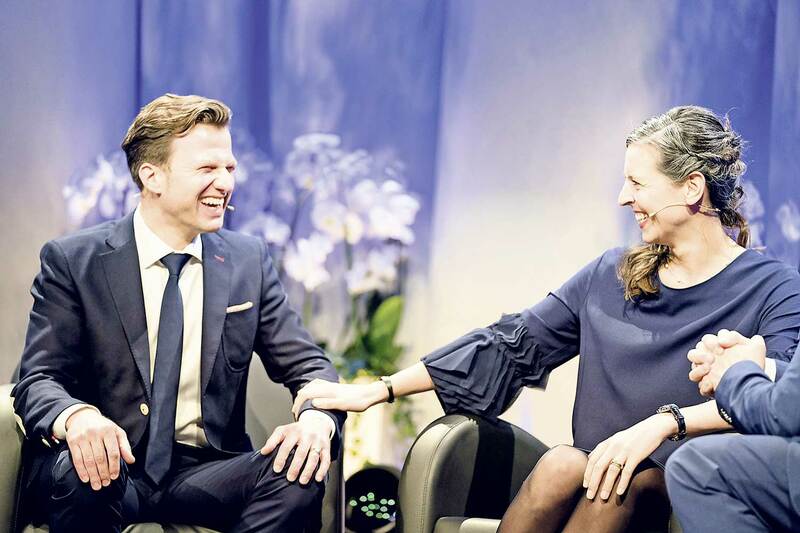 "The very fact that we were nominated for the award was an enormous honour," said Christian Hoefliger with great modesty when speaking to the Anzeiger von Saanen. After an intensive selection process, the hotel finally leapt from the top 200 to a shortlist of just six companies. The SVC’s assessment included an individual interview, which took place last October over several hours. Performance indicators were taken into account and the judging panel also visited the site. It wasn't until the actual award ceremony that the host couple, Brigitte and Christian Hoefliger–von Siebenthal learned that they'd made the podium with a second place award. "It's an incredible result" said Hoefliger. "The thrill of the award ceremony was unbelievable and it was all so professional," he admitted. There was much hype after the event too, but this didn’t keep the two dedicated hosts from working hard. The next morning, they were going about their duties as usual. "Life and work continue as usual – we have to keep our feet on the ground!" said Hoefliger, smiling. The hotel can't rest on its laurels. Nevertheless, the award is extremely important to the owners: "We’re also highly honoured to represent the Saanenland in this important award." In his congratulatory speech, the head of the jury, Walter Steinlin, emphasised: "The couple who manage this hotel have created a strong brand through their expertise, their focus on customer satisfaction, their professional, prudent market analysis, continuous investment in infrastructure and personal enthusiasm. This means the hotel can really hold its own in a highly competitive market." The Romantic Hotel Hornberg was founded as a family business in 1936 and now employs 53 staff. The Swiss Venture Club awards the SVC Prize to promote entrepreneurship in the seven Swiss economic regions. The biannual SVC Prize is awarded to exemplary companies in the economic regions of Espace Mittelland, Northern Switzerland, Eastern Switzerland, Suisse Romande, Svizzera Italiana, the Zurich Economic Area and Central Switzerland.